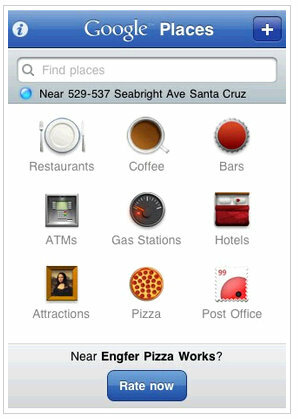 Google announced today that the Google Places iPhone app is now available for download via iTunes. Google is apparently left to do only one thing after being shunned by Groupon and local business review site Yelp.com, and that is make their own app. After Google’s $6 billion offer to Groupon got shot down, the search engine giant has been trying to find a way to get a leverage in the local business market space. Groupon would’ve been a perfect avenue for Google’s local ambitions, but $6 billion wasn’t enough to make that happen.